Of all the various credits on Kendrick Lamar's DAMN., seeing Steve Lacy's name pop up was among the most exciting. 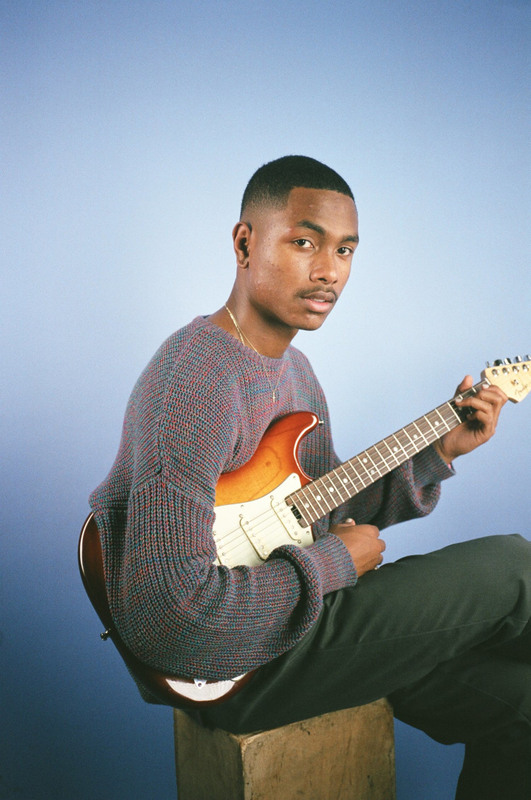 Lacy's having a breakout year in 2017, having dropped his solo project Steve Lacy's Demo and focusing on his work with the rest of his bandmates in The Internet. The teen musician appears on Lamar song PRIDE alongside the Compton rapper's regular collaborator, Anna Wise. Lacy spoke to Matt Wilkinson in an interview that will air at 12 p.m. EST tomorrow Saturday April 15 on Beats 1 and explained how the DAMN. hook up came to pass. 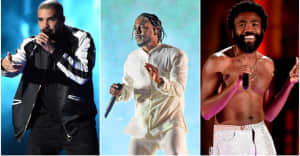 In a clip you can hear below, Lacy said that he and Kendrick were put together by DJ Dahi, with whom he's working with at the moment alongside another, unnamed, artist. While he was in the studio with Dahi, Lacy got to play some music to a visiting Lamar. "The song I did for him came from this acoustic session that was recorded on my iPhone," Lacy says. "I showed Anna Wise how to record her vocals and she recorded this whole idea over these acoustic guitar chords I came up with, a small little drum loop that I made and then I took her vocal stems and made a beat over it. This was the track where he [Lamar] was like 'Yo, put your number in my phone I need this.' I went there a couple more times to work on some stuff and this song he was just sure about. He loved this one. Then I hit him up again and he said he’s just finishing up the album so I go 'Tracklist?' with the eyeball emojis and he said 'LOL.' It was called "Wasn’t There" at the time but it’s called "PRIDE" now. It’s still hitting me I still haven’t fully gripped what I just did but yeah it’s crazy to think I was in a classroom just 6 months ago." Listen to a preview of Lacy's Beats 1 interview below.